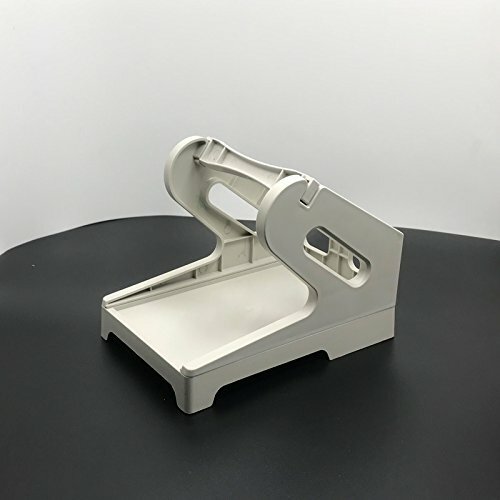 SN-RIGGOR Extra Plastic Label Paper Holder of Thermal Bar Code Sticker Label Printer for Delivery Supermarket Pharmacy Store Large Roll Paper External Support Holder (White) by SN-RIGGOR at MDA-MA. MPN: SN-RIGGORPRINT. Hurry! Limited time offer. Offer valid only while supplies last. This is the very popular label holder as it can adapt to Fan-Fold Labels. Keep your labels organized and accessible with this hybrid label holder. This is the very popular label holder as it can adapt to Fan-Fold Labels. Keep your labels organized and accessible with this hybrid label holder. Use this hybrid label holder to securely store and use your direct thermal fan-fold (stack) labels. If you have any questions about this product by SN-RIGGOR, contact us by completing and submitting the form below. If you are looking for a specif part number, please include it with your message.